Sallie] Bingham writes with an austere and unerring knowledge of what it is to be human and transgressive.-Paula Fox Restrained and wise, these lovely stories unfold like lavender-scented linens, quieting the fretful mind.-Joe Ashby Porter Forty-year veteran of the novel, noted feminist, and author of over ten books, Sallie Bingham returns with Red Car, a collection written in her signature style-discreet, sly prose circling taboo subjects. Her new offering is about love enjoyed, whether alone or with lovers, sensual or familial, comedic or tragic, often with a wry twist. 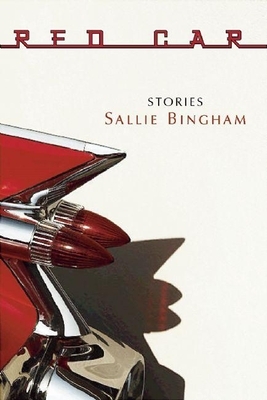 Sallie Bingham lives in Santa Fe, New Mexico. Bingham's first novel was published by Houghton Mifflin in 1961. Since, she has published four collections of short stories (including Transgressions, Sarabande, 2002), four novels, and a memoir. She was Book Editor for The Courier-Journal in Louisville and has been a director of the National Book Critics Circle. She is the founder of The Kentucky Foundation for Women.